The history of the Nigerian Music industry would not be complete without mentioning the hit single that puts every lover of good music in a mood of celebration, “I CELEBRATE” a single delivered by the unique Nigerian born Obinna Kelvin Anyanwu popularly known as WACONZY, a name coined from the blend of two English words “Wacko” and “Zany” which describes his style of music. The Port Harcourt breed stops at nothing in delivering a great stage performance with an excellent connection with his audiences who now refer him as “Mr. Tumble the stage”. Waconzy’s humility shows in the lyrics of his songs and the way he carries his fans, his music is Afrocentric in that it combines Western and African rhythms in creating a marvelous blend of Hip Hop and Dancehall music. His songs cut across various age genders and geographical boundaries indirectly making him one of the most popular and sought after artist in Africa and beyond. Waconzy, one of Nigerian ambitious artist with an international mind, holds a degree in project management which gives him the space to practice his degree in the management of his project while he nurtures his music career. 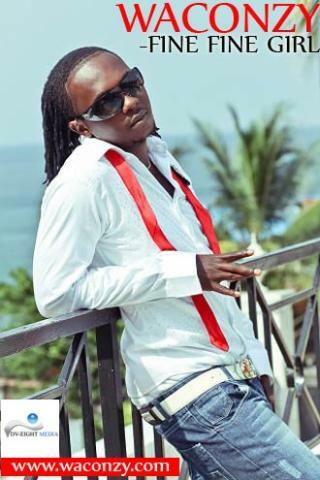 Earlier this year 2012, Waconzy confirms his partnership with Young Ane Productions for the expansion of his career overseas. Young Ane Productions is a film production and international artist management company in South Africa and Nigeria powered by young Nigerian born George Beke aka Geobek. This partnership opens the door for the world of entertainment to receive the talented artist Waconzy.